I was not bold enough to belly crawl through the mud to try getting closer to these birds. 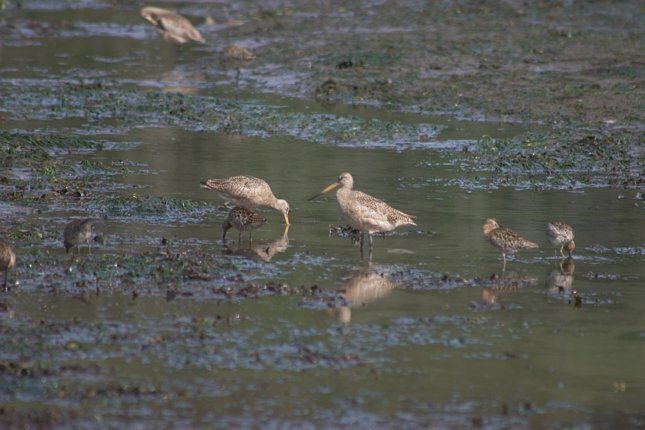 I counted 17 of them feeding in one area along with numerous dowitchers (Limnodromus sp. ).